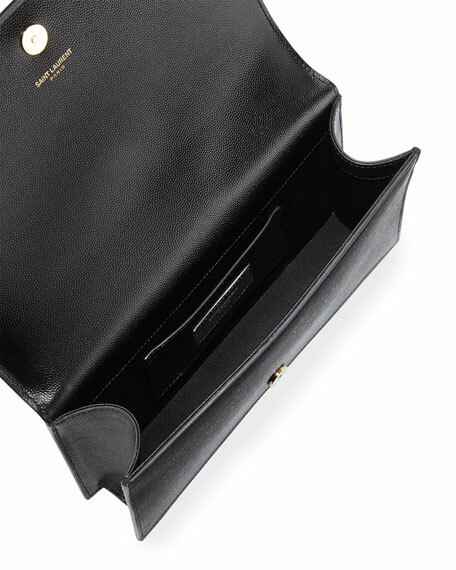 Saint Laurent grained calf leather clutch bag. 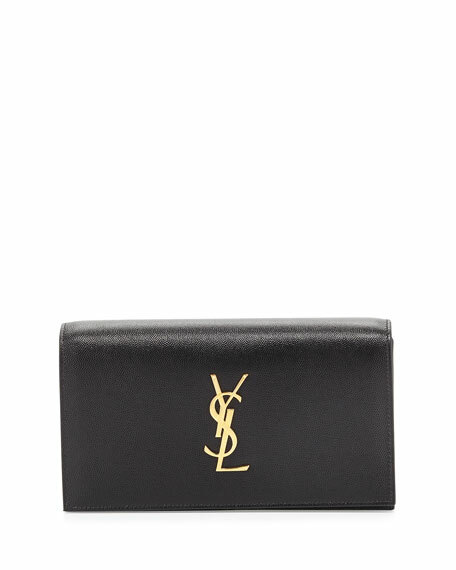 Flap top with golden YSL logo medallion. Inside, faille lining and slip pocket. 5.3"H x 9.5"W x 2.3"D.
For in-store inquiries, use sku #1579103.